The Buttery Babe – Delicious Recipes from My Kitchen and Garden. Butter, Cheese, Meat, Wine and Carbs are all Welcome Here! From Romantic Breakfast for 2 to Slow Smoked Brisket for 12 to Friendsgiving for 40, each of my Recipes has been Tested and Tasted. Chicago, Ohio, Chicago, New York, Chicago, Florence, Chicago, New York, Chicago! Can you feel the theme? I might move around, but I always find my way home. The good thing about all of those trans-Atlantic flights and cross-country drives is the food. Wherever I am, whether for the afternoon or the year, I am looking for a goodie. There's always a cooler in the back of the truck, and a blinker on for a road side stand selling pie. 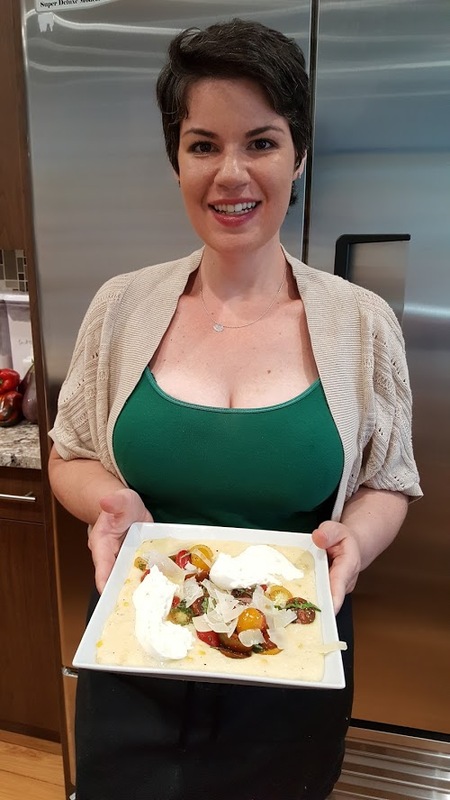 All of the recipes and cooking videos are inspired by my travels and my garden. The Buttery Babe grew from my years in professional kitchens and gourmet markets. A classic French background gave me the knowledge to cook almost anything and my lack of fear gave me the willingness to do it. Join me as I share my passion for butter, cheese, meat, good wine and bread. I will show you how easy it is to eat decadently and look like a kitchen rock star. Original recipes, recreations from my travels, how to deal with the surplus of my urban garden, and how it all started...with Pommes Anna and some broken grandma recipes.